This last migration, the result of at least two other blogs posts, has forced me to think about how we do object migrations. It’s one of the few times that we had a consultant do ALL the work. Because the consultant had the APPS user name and password (not ready to talk about that right now), he was able to set up a considerable amount of the new XML Gateway interface without engaging the development team. Unfortunately, this resulted in us not knowing what was happening behind the scenes as it related to the SYNONYMS, GRANTS, and OBJECT OWNERS. 56, ‘JAVA DATA’, ‘UNDEFINED’) “Object Type” — There are quite a few of these which you can look up. I only used what I was looking for. AND so.name LIKE :objName — enter your object name. You can also edit this to include a list of objects. We were able to successfully pass our Change Control Board approval process and the objects were migrated to Production. 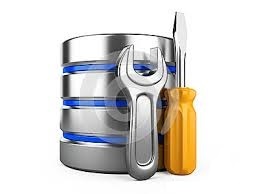 Eventually we will use SQL Developer for that too. Here is a post about that. Once is Production, I was again able to run this in Production (let’s not talk about how I can query SYS in Production). Taking the two exports: QA and Production, I wrote a quick Excel formula to compare each row. If they matched, then I can be relatively confident the migration was successful. While I’m sure there are better ways to do this, it was a great distraction for a couple of hours. 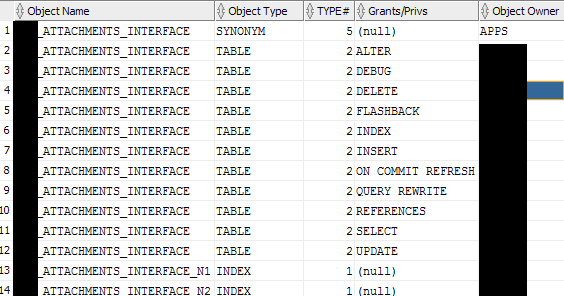 Previous SQL Developer Database Copy: I Really Like This Tool!